Most people are familiar with frogs, toads, newts and salamanders, but are less familiar with caecilians, which superficially resemble large earthworms. 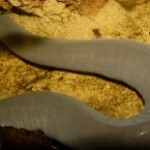 Little is known about most caecilians as they mostly live hidden underground or underwater. All amphibians are cold-blooded animals and most metamorphose from a juvenile to an adult form. They cannot generate their own body heat, instead relying on the temperature of their environment to help them keep warm or cool enough to survive. 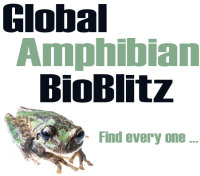 There are over 7,400 species of amphibians, and they inhabit all continents except Antarctica, living in varied habitats such as rainforests, rivers and streams, deserts and alpine environments. 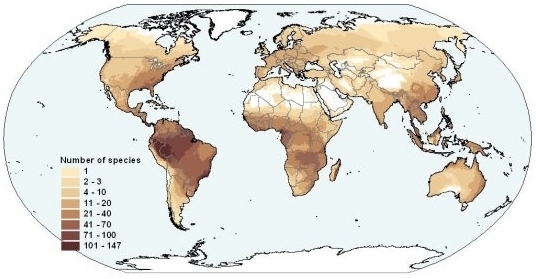 Global diversity of amphibians (from Global Amphibian Assessment). They play an important role in nature as both predator and prey, sustaining the delicate balance of nature. They eat pest insects, benefiting successful agriculture around the world and minimizing the spread of disease, including malaria. The skin of amphibians has substances that protect them from some microbes and viruses, offering possible medical cures for a variety of human diseases, including AIDS. 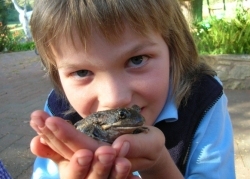 Frogs have had a special place in various human cultures for centuries, cherished as agents of life and good luck. 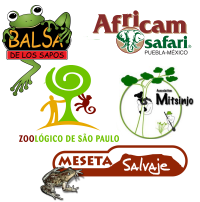 In addition, successful collaboration to save amphibians can help mankind to more confidently face and address other major environmental challenges. 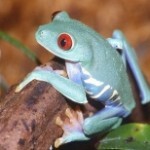 One-third to one-half of the world’s approximately 7,500 known amphibian species could go extinct in our lifetime. This would be the largest mass extinction since the disappearance of the dinosaurs. Amphibians are considered canaries in the coal mine: they are among the first species to be affected by environmental stressors, so when they show declines in the wild, it is a warning to other species, including humans. Their population declines and extinctions signal that changes are occurring in the environment that will also negatively impact humans. 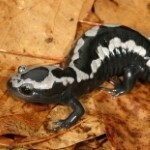 Amphibians are dying in alarming numbers. About 122 species are believed to have become extinct since 1980. About half of the world’s 7,500 species could become extinct within our lifetime with at least 500 species facing imminent extinction. This rate of extinction is unprecedented since the demise of the dinosaurs. Destruction of habitat, invasive species, pollution, global warming and other human influences threaten many species throughout the animal and plant kingdom. In addition to these challenges, amphibians are being attacked by a lethal disease that has caused unprecedented and unexpected losses, called chytrid fungus. Chytrid quickly and quietly destroys entire species when introduced to new populations in the wild. Chytrid fungus has now been identified in association with amphibian die-offs on every amphibian-inhabited continent. This disease has decimated or wiped out species that had not been considered critically endangered. It happens so quickly that species disappear before anyone realizes they are in trouble. Amphibian chytrid is a disease that infects the skin of amphibians, a vital organ through which many drink and breathe. It was discovered a decade ago; dozens of frog species have already vanished because of it. In environments where it thrives, the fungus can kill 80 percent of the native amphibians within months. Currently, it is unstoppable and untreatable in the wild, even in ‘protected’ areas. Amphibian chytrid is believed to have originated in Africa. The export of African clawed frogs (likely resistant carriers of the fungus) around the world for human pregnancy testing and lab studies spread this disease worldwide. Recently, the food and pet trades may have contributed to the problem as well. The chytrid’s spread and effects may be exacerbated by climate change – warmer temperatures dry the moist areas where amphibians live, causing stress that may lead to greater susceptibility to the disease. For amphibians, the potential impact of chytrid fungus across all species is probably underestimated, and a significant number of amphibian species that have been described are too rare and too poorly known to assess their level of endangerment. While there are 2,000 to 3,000 threatened amphibian species, many suffer from threats that we have the ability to mitigate in the wild, such as habitat destruction and over-collection. AArk is using a species conservation needs assessment tool and regional expertise in a series of workshops around the world to determine which species require our intervention.